A very warm welcome to our weekly round-up. 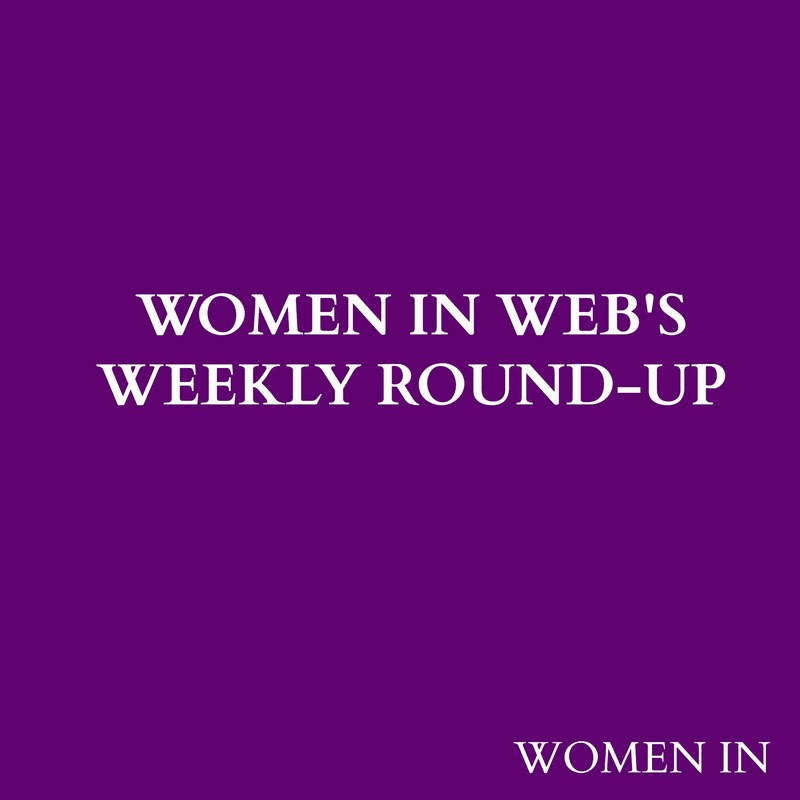 Here’s what was on Women In Web this week! Our first Q&A of the week was with Professor Donna Mead, Dean of Faculty of Life Sciences and Education at the University of South Wales. Professor Mead has had a distinguished career in the fields health and education, and you can read our Q&A with her here. We also spoke to Carolyn Lawrence, President and CEO of Women of Influence. The organisation recently released a thought provoking white paper entitled, ‘Women Leaders Breaking Through in their Careers.’. Click here to read her Q&A. We were very much inspired by Rebecca Morris’s story that we had to share it! She has recently completed walking around Wales fundraising for Shelter Cymru. Her story is a must read. Fortune Magazine’s cover story looks into Marissa Mayer’s job as CEO of Yahoo. Senior writer Jessi Hempel says that Marissa’s the real deal, but she’s strapped (for now) to a terrible business model. We couldn’t really start this week’s round up without celebrating Sir Tim Berners-Lee’s creation of the World Wide Web 25 years ago this week. Otherwise, we wouldn’t be able to share Women in Web with you! We raise our glass to you Sir Tim! It feels as if Spring is finally arrived. Hooray! Our thoughts are naturally turning to lighter warmer days and evenings! Our latest Q&A this week was with Carole Laurin, who at the age of just 42 years experienced a devastating stroke is devastating at any age, which, changed her life forever. Nine years on, Carole has released ‘When Stroke Meets Trust: A Journey of Inspiration.’ The book chronicles the immediate aftermath of her stroke, which left Carole half paralyzed and unable to continue in her teaching career. Read our exclusive interview with her now! Our Thursday question this week was: ‘Imagine your career is in full flow, and the opportunity of a gap year presented itself. What would you consider doing and why?’ Share your answer to this great question with us on Facebook and Twitter. Social Media: A fan of Pinterest? Make sure you check out our pins and follow us! 10 Women who are changing the face of the City of London. Kate Metcalf,Gardiner & Theobald LLP shares why she likes working in the construction industry, and tells us why she wants to raise awareness and campaign to get more women following in her career footsteps. Whistles CEO demands women board quotas be introduced. There seems to be quite a bit of speculation on the next Prime Minister in the UK and the President of America being a women. As seen in the following articles: Could this woman be the next female PM? Do you think we’ll see a female President in 2016? Anne-Marie Slaughter believes we could. Careers in business, tech, and healthcare continue to dominate Forbes’ annual ranking of the 20 Best-Paying Jobs For Women — but even roles in these powerhouse industries haven’t overcome the gender wage gap.